I was born and raised in a tightly knit, ethnic community in Cleveland, Ohio. My early years were shaped in the context of a family that loved me and helped me understand my place in the larger Church. My mom and dad were the two most significant people in my life, teaching me to pray and incorporate spiritual disciplines into my life. We went to church every Sunday without exception, normally to St. Paul’s Roman Catholic Church, where we also went to elementary and middle school. Occasionally, we went to St. Nicholas Greek Catholic Church, where my grandparents were members and where my four brothers and I were baptized and confirmed. The emphasis in my early years was more focused on rules and regulations, which I found to be onerous and often bewildering. It began a longing in my heart to know God, but without an understanding of salvation and a personal relationship with Jesus, I found myself pulling away from the church. My daily prayer for over two years was begging God, if he was really there, to somehow let me know. That prayer was answered through the Marianist brothers and priests who taught at my high school. Thanks to a retreat with nine other student leaders, Jesus revealed himself to me in a powerful and convincing way which resulted in my conversion at the age of seventeen. This began my personal relationship with Jesus and led a year later to receiving the Baptism in the Spirit and beginning a life of discipleship. love of life have challenged me, stretched me, but primarily made me forever grateful for the gifts they are to me. Their current disillusionment with the Church in which they were so active earlier in their lives has kept me on my knees and given me a special place in my heart for Millennials, who, like them, see the Church through a very different lens. Planting Christ the Redeemer in 1994 added jet fuel to my spiritual journey as I learned to pray in ways I never had before. It was during this time that I learned how to effectively disciple others, running a staff of ten paid and volunteer leaders in a rapidly growing church. Learning to be a leader that others would want to follow caused me to grow in new ways and challenged me to develop my own personal leadership style. 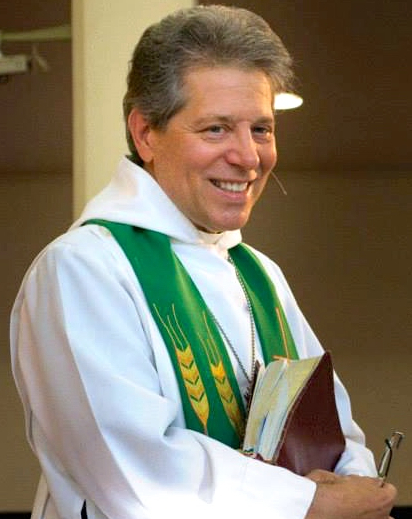 The questionable decisions made by the bishops of the Episcopal Church forced me to clarify my own biblical theology and to square it with the rapid changes taking place in our culture. Although deeply conflicted and painful, these years caused me to grow much stronger in my faith and to “trust the Lord with all my heart and lean not to my own understanding.” This and many other scriptures guided my path as I made decisions that would forever set me free and determine the future course of my life and ministry. My “call within a call” came in January 2005 when God asked me to leave my beloved church plant after twelve years and devote the rest of my life to “raise up the next generation of leaders for the Church.” This led to the founding of the Titus Institute for Church Planting, becoming an adjunct professor at Gordon-Conwell, and now serving as Canon for Church Planting for my diocese. My sense of mission has exploded and my devotion to my Lord has solidified in the face of countless obstacles that he has empowered me to overcome in the power of the Holy Spirit. Significant mentors during my adult years are many: a couple from the Assemblies of God who first taught me to love the scriptures, my sponsoring priest, Fr. Melvin Gray, who introduced me to the beauty of contemplative prayer and liturgical worship; my spiritual director, Fr. Edward Schmidt, O.S.B. who grounded me in St. Benedict’s Rule of Life and reintroduced me to the spiritual disciplines of my youth; and my mentoring priest, bishop, and long-time friend, Bishop John Guernsey, who has consistently challenged me to step outside my comfort zones and learn to trust the unfailing grace of God in all I do. God has gifted me with a deep love of learning and my interests range from vocational reading (church planting, theology, leadership) to developing a deeper spiritual life (devotionals, spiritual direction), sprinkled with a variety of personal interests (history, health and fitness, novels). The gems I’ve discovered most recently include Launching Missional Communities by Mike Breen and Alex Absalom, Discernment Matters by Sr. Mary Margaret Funk O.S.B., Leading Church Multiplication by Tom Nebel and Steve Pike,Emotionally Healthy Spirituality by Peter Scazzero, and Hamilton by Ron Chernow. I am happily pursuing the mission God has given me to raise up the next generation of church leaders to reach 150 million North Americans with the Good News of the Gospel of Jesus Christ. By God’s grace and love, I hope to continue doing so for many years to come. To God be the glory.